This is a little pop-up book. There is a pop-up on each page along with some flaps to lift. It is the story of a little mouse that in the quiet of night goes downstairs and finds a surprise. He goes back upstairs to gather his family to share the surprise. He gets his sister from under the pillow, his Mom from under the bed, his dad from the drawer in the dresser and they run downstairs to see that Santa has been to the house. The author of this book has written many other books. She has a popular “I Can Read” series about a dog named Biscuit. She has a few YouTube videos including the following about why she wrote the first book about Biscuit. Okay, I obviously bought this book when I was naive about mice. I now get a case of the heebie jeegies reading this book. Really! These people need an exterminator. The mice are sleeping all around the little girl’s room. Under her pillow! Gross! (If it makes you feel better, an exterminator told me that mice do not usually hang out in bedrooms. They generally just want food and water.) Anyway, if you can suspend your thoughts about mice, this is a cute book. It does seem to be out of print but there are used copies available. 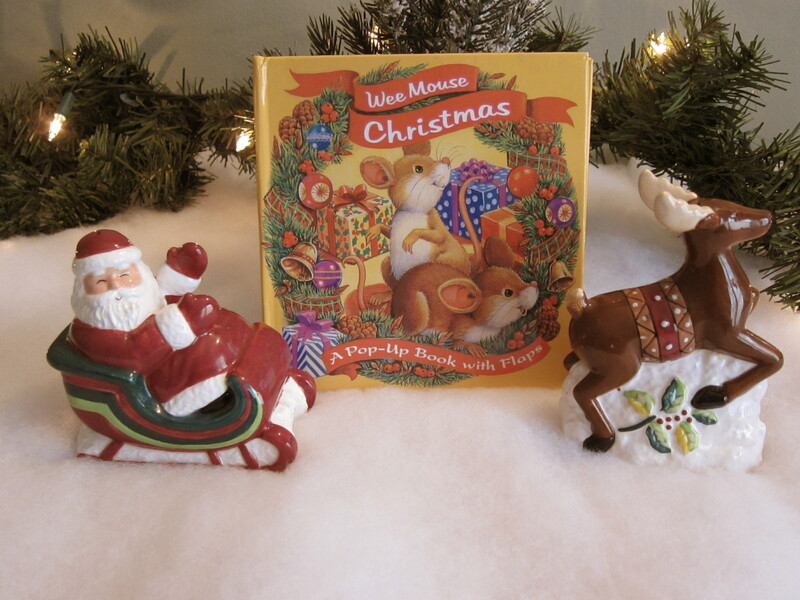 This entry was posted in Talking Books and tagged Alyssa Satin Capucilli, children's Christmas books, Christmas books, Wee Mouse Christmas. Bookmark the permalink.